Depending on the version, the Phantom Reactor can deliver either 600 or 900 watts of peak power, producing up to 98 decibels at full volume. 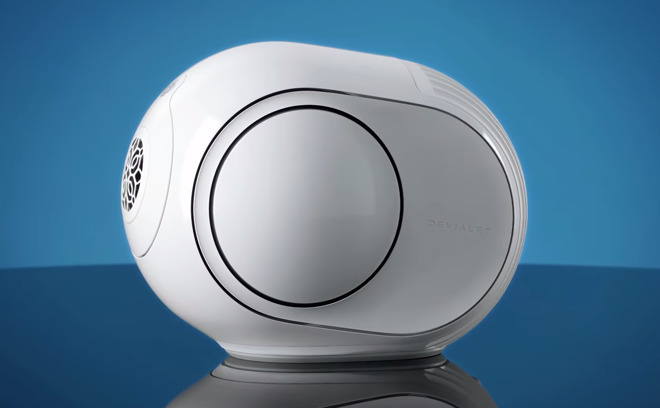 The speaker nevertheless has a frequency range between 18 hertz and 21 kilohertz, and Devialet claims distortion-free sound at every volume setting. In addition to analog, optical, and Ethernet inputs, the speaker offers Bluetooth and Wi-Fi, the latter compatible with AirPlay, UPnP, and Spotify Connect. A 2019 update will add Chromecast Audio as well as pairing multiple speakers. The product doesn't yet support AirPlay 2, but CEO Franck Lebouchard hinted at the prospect in an interview with TechCrunch, explaining why there's no onboard voice assistant. "We are completely focused on sound quality. We want to be platform agnostic with Apple, Amazon or Google," he said. "Our idea is that we want to make our speakers compatible with all the protocols from those companies — but our business is sound quality." The standard Phantom is already compatible with AirPlay 2, and in fact was one of the earlier adopters of the standard. The headline feature of AirPlay 2 is multi-room audio, but it also offers a substantially bigger streaming buffer versus the original AirPlay protocol, helping to reduce interruptions and provide continued streaming even as an iPhone or iPad runs other tasks. AirPlay speakers will appear in the Mac and iOS Home apps, and can be controlled there or via Siri, albeit only to play, pause, or shift rooms. Preorders for the Reactor start on Wednesday ahead of an Oct. 24 ship date. The 600-watt model will cost $999, while the 900-watt model will come in at $1,299.